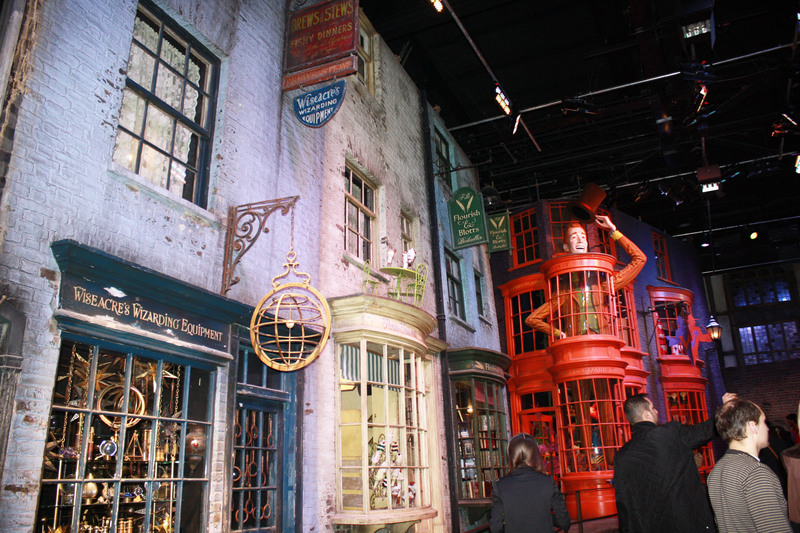 As you probably know from my incessant tweeting on Sunday, I recently had the pleasure of visiting the Warner Bros Studio Tour at Leavesden Studios, which is focused around the world famous ‘Harry Potter’ films. 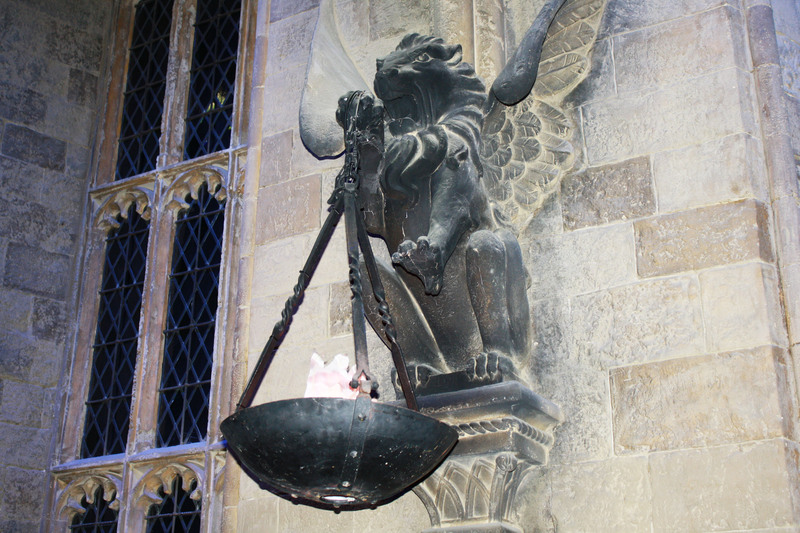 As the filming place of Potter for ten years, the location plays host to some of the most loved sets, including Hogwarts, the Boys Dormitory, the Great Hall, the Ministry of Magic and Privet Drive (although, without the Dursley’s there of course!). 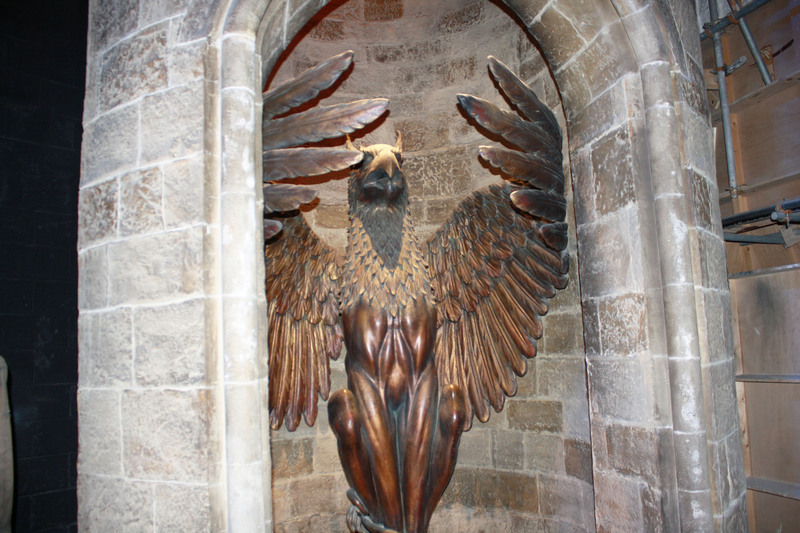 As a huge HP fan, I have been eager to visit for months now – and so finally booked my boyfriend and I on one of the tours. So, with our tickets booked online (you have to pre-purchase as no tickets are sold on-site) and with a rather surprising tour time on the cards (6pm on a Sunday, as Saturdays are completely booked up or unavailable), we set off for Watford. With high hopes, recommendations and lots of excited anticipation about what we would see, I could barely contain my excitement as we reached the tour, and so was a little disappointed at having to wait in the cold for twenty minutes to collect our tickets, despite having already bought them. 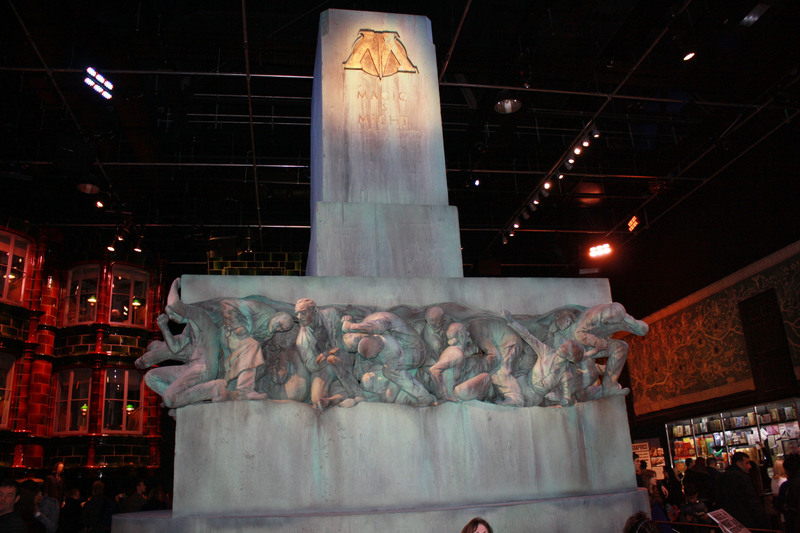 However, once inside – I was astounded at just how large the studios are and it was strange to think that they use to be the ‘home away from home’ of Emma Watson, Daniel Radcliffe and Rupert Grint. 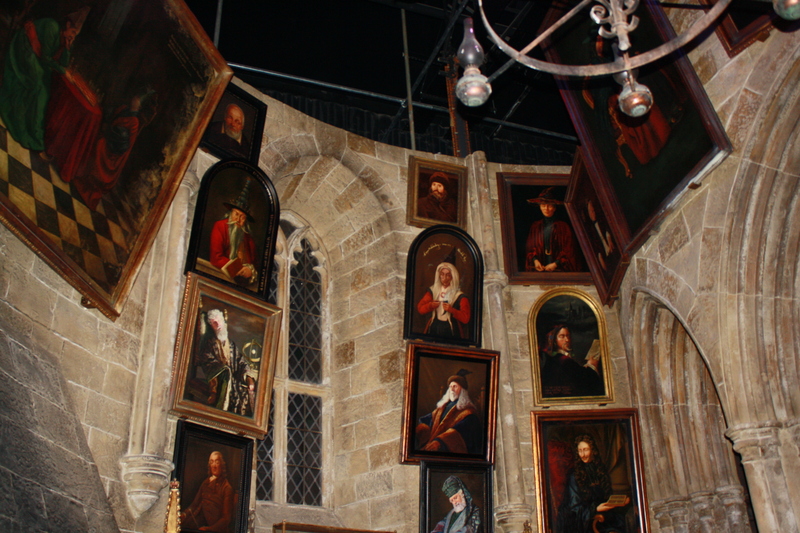 Or Harry, Ron and Hermione as they are better known. I opted for the full adult ticket, which is £38 and includes a digital tour guide and a souvenir guidebook. On reflection, I probably could have done without the digital tour guide (and the guidebook) and just bought an averagely priced ticket (£28), as once you enter the tour, you are too busy snapping photos and pointing out all your favourite scenes to be fiddling with the digital guide (which is basically a heavily packaged iPod that ran out of battery after two hours), however – I didn’t want to miss out the first time round. 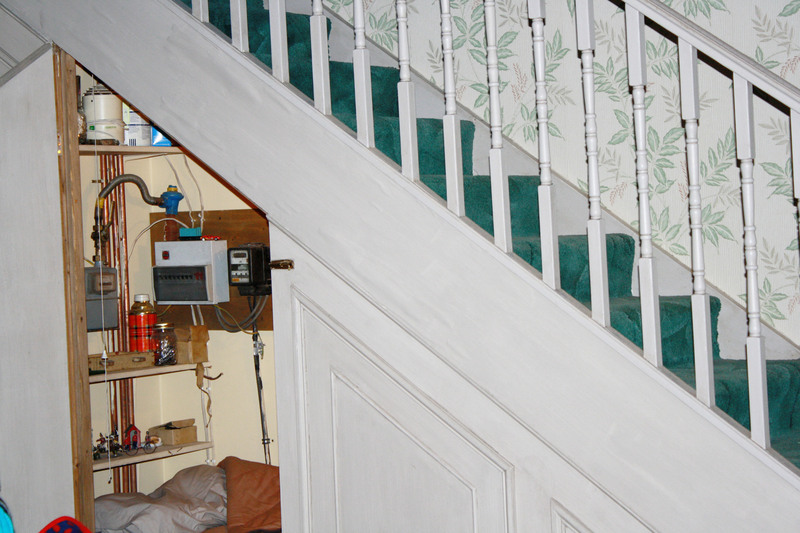 You are advised to arrive twenty minutes before your tour start time, and once ready – you queue up next to the ‘Cupboard Under The Stairs’, which was once home to Mr Potter himself. 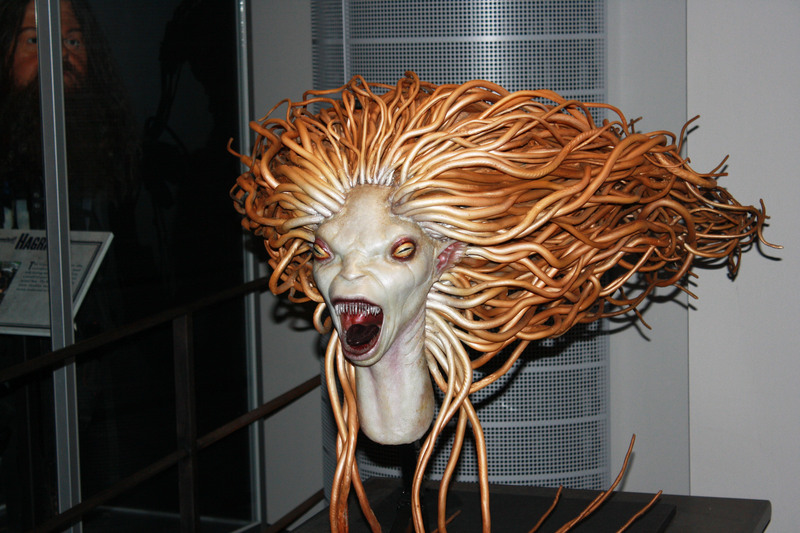 It’s quite surreal seeing a ‘set’ in the flesh, especially as it looks so realistic and ‘whole’ on screen, whereas the real life version is just a ‘cut out’ (almost half-finished) replica of what you imagine it to be. 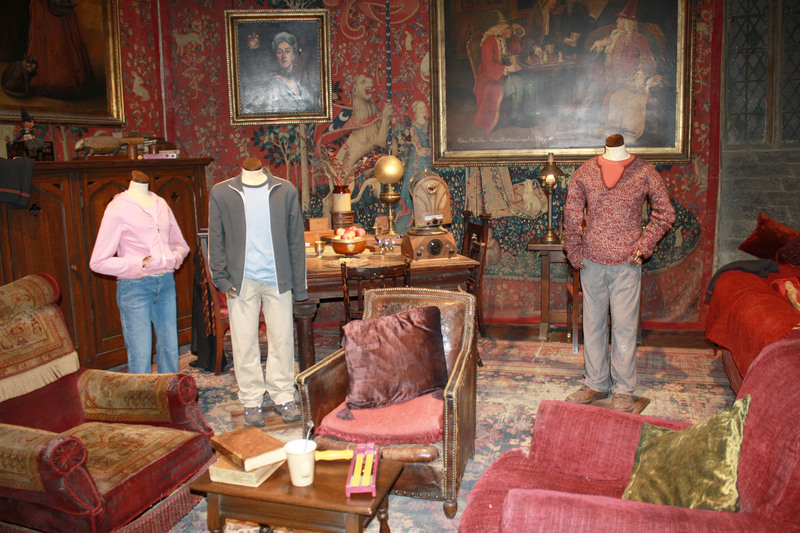 However, as you walk through the tour and see LOTS of the other sets, you soon get used to this feeling! 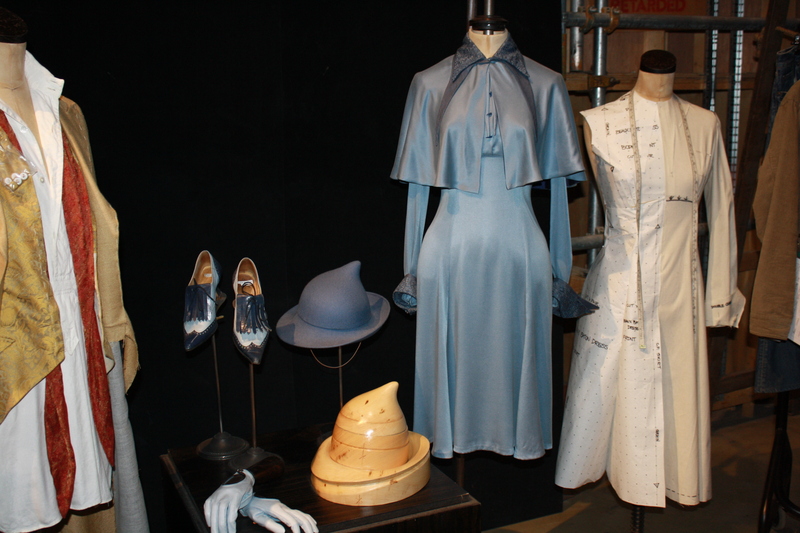 After a short queue, you are ushered into a ‘holding room’ where you are shown a short video about how HP has taken over the world, including a few short speeches from directors, producers and production assistants who worked on the film series. Obviously, this adds to the whole atmosphere of the tour and is definitely not a waste of time, but I could see a few eager younger kids waiting to get in (rather than watch a video). 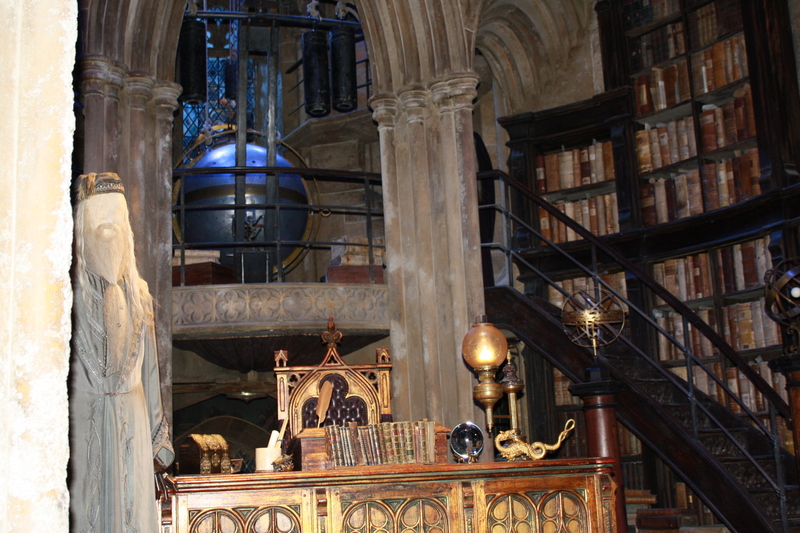 When the video has finished, you then enter another ‘cinema’ room, where Harry, Ron and Hermione appear on screen and let us into a few secrets about their time at Leavesden. 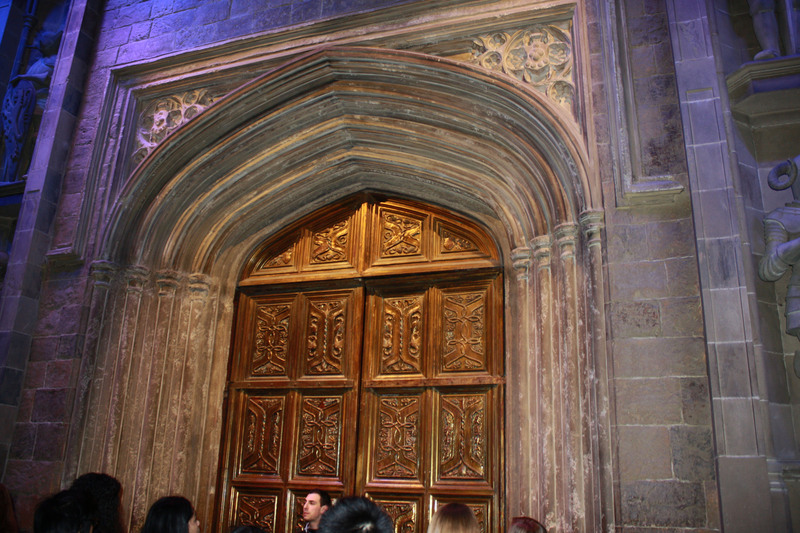 Once the short clip has finished, you are then magically transported into the Great Hall (I won’t spoil the surprise and say how, but there were a few gasps from the audience!). 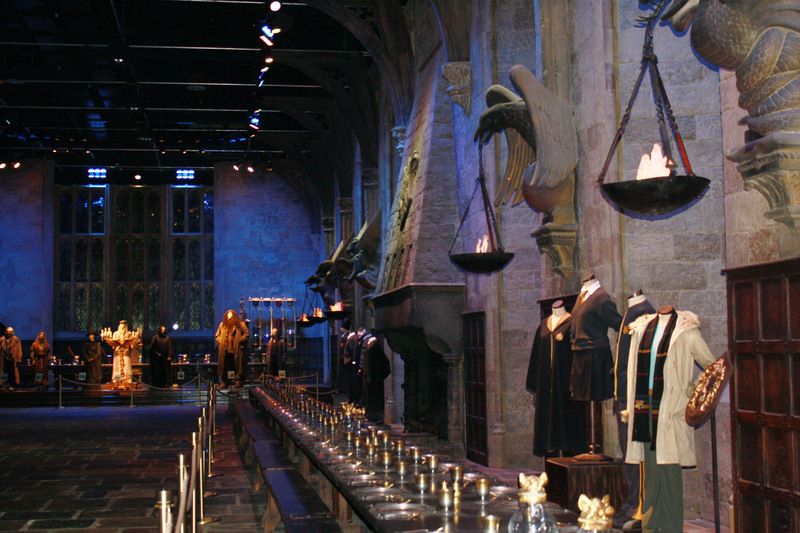 Stepping into the Great Hall was probably the highlight of the trip for me, as it really did feel as though you were in the films and being able to view all the intricate details of the set itself, up close and in the flesh was absolutely amazing. 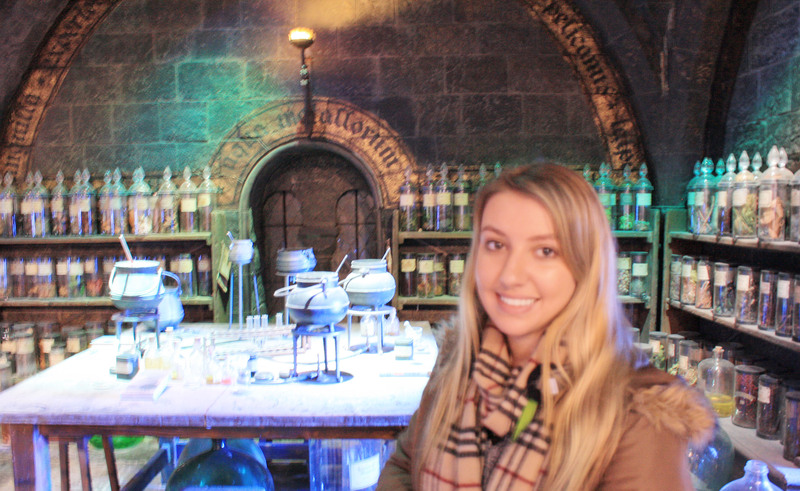 If you are a Harry Potter fan like me, it’s always been a dream to be inside (or a part of) the movies and this is definitely the next best thing! As it is the only ‘full set’ of the tour, it feels the most realistic – although the only thing missing is the floating candle sky. 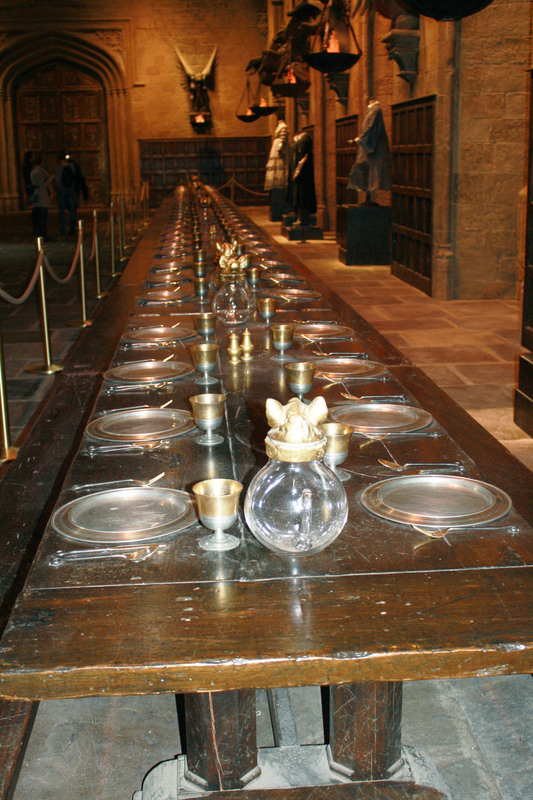 I will say, it does look much smaller in reality than it appears on screen, and it’s difficult to imagine that a whole school could fit in it (especially with four ‘house’ tables and a top table of teachers). 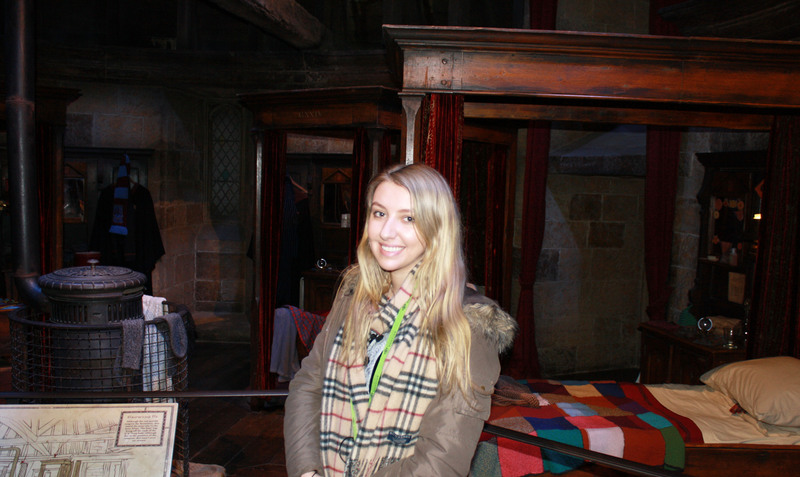 I was a little snap happy and took hundreds of pictures in the Great Hall, before being ushered out and into the main ‘set room’. 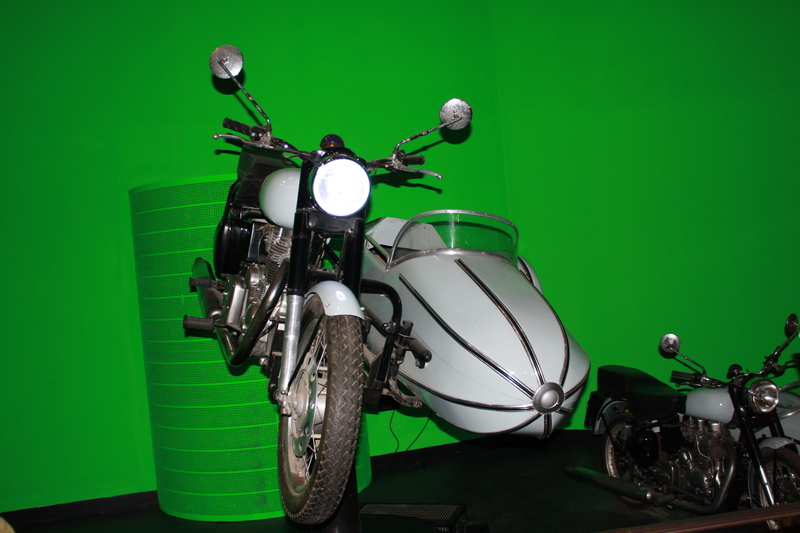 As someone who isn’t in the film or television industry, it’s a little odd to suddenly see all your favourite sets/scenes ‘cut in half’ as it were, and in front of you like a dolls house – under harsh bright lights, however I guess this is simply the way film sets have to be made in order to film the action efficiently. 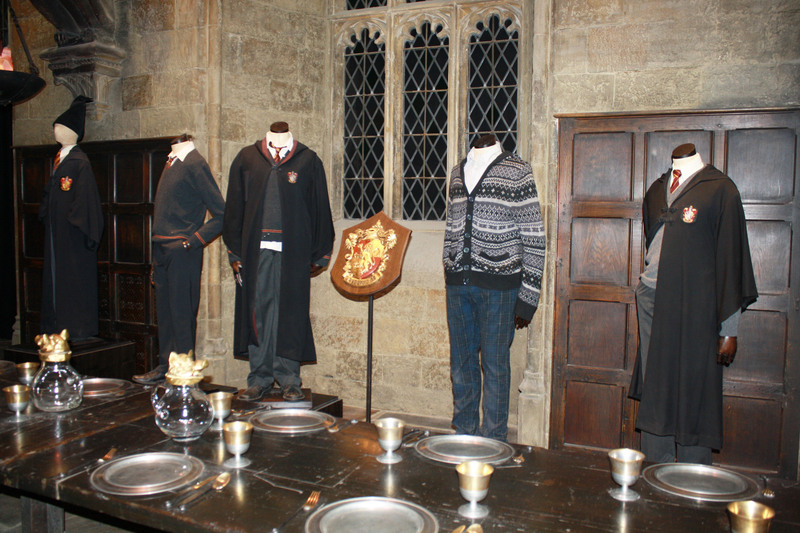 Stepping inside and seeing the Griffindor Boys Dormitory, which having been built for the first film – when the boys were much smaller, was absolutely tiny and had to be filmed from certain angles so that their size would not be caught out, was unreal. 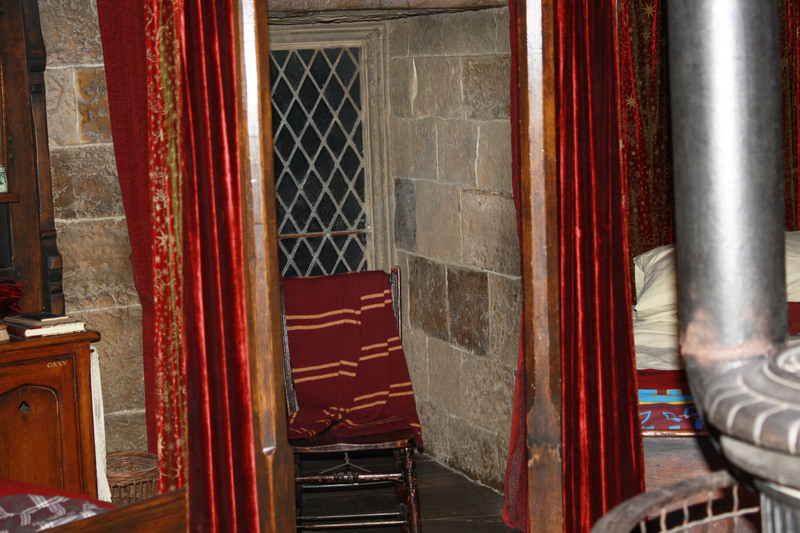 The beds were half the size of a normal bed and the windows (which look huge in the film) were minuscule. 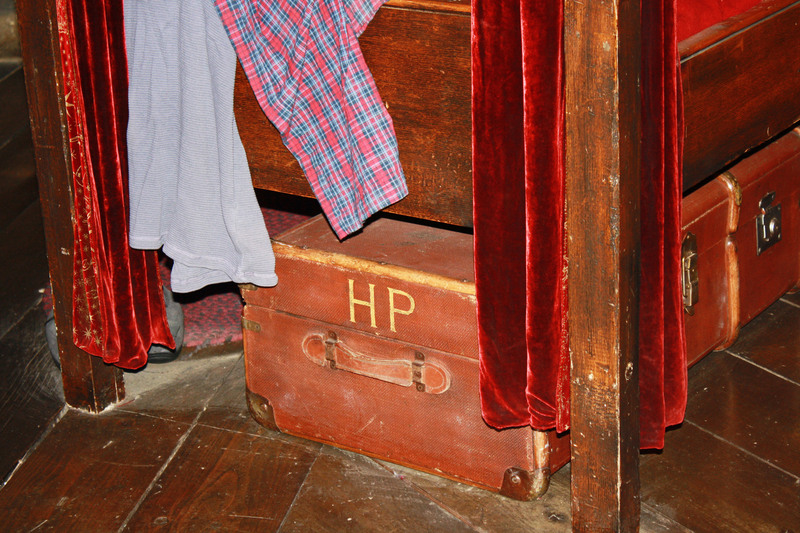 However, the curtains, bedspreads and dressing tables were all intricately decorated and clearly well thought out, depicting what you could only imagine as a ‘Wizards boys’ bedroom. It’s astounding the amount of detail that went into creating a fantastical, new and magical world, where lots of the details aren’t commended on screen enough! 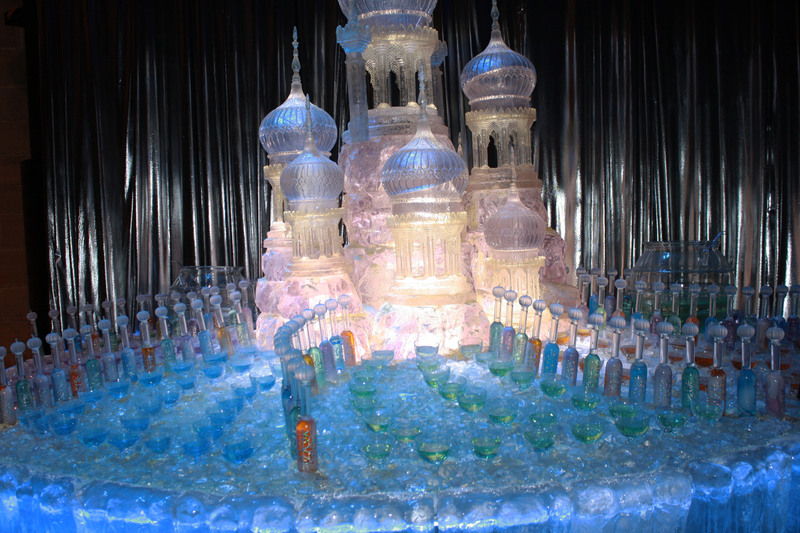 The Griffindor Common Room, although a little bigger – was also much smaller in reality, however it looked ‘frozen in time’ from when the last film was shot, with the magical wireless on the table (where Dumbledore’s Army listen for updates in Deathly Hallows Part 1) and a mug of tea on the coffee table. 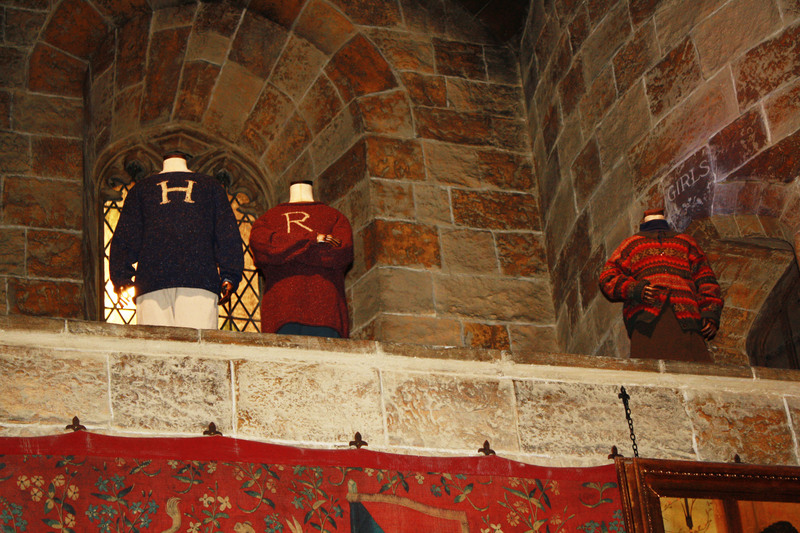 The costumes of Ron, Harry and Hermione in the first film (which are positioned up on the balcony) and their costumes in the final film, just show how far the actors and the movies have come and how much we’ve all grown up alongside them, which is surreal! 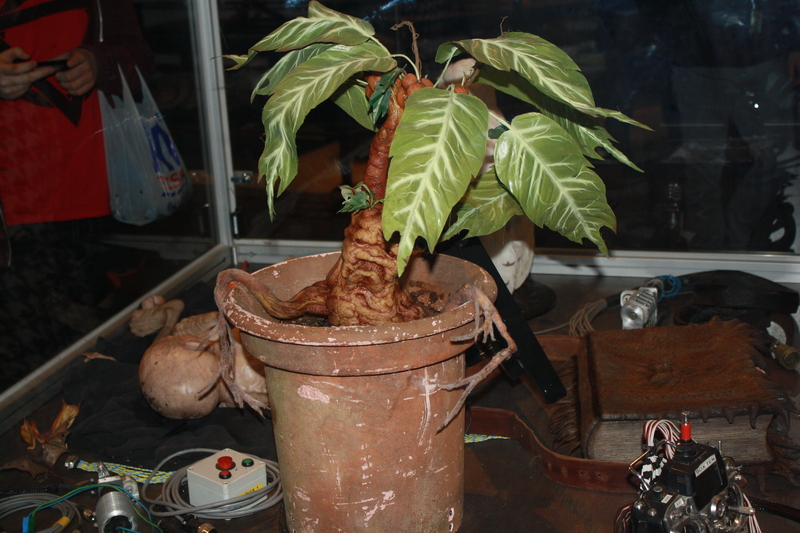 Nearby, a video roll plays with interviews from the movie’s set designers, which is really interesting – as they talk about visiting auctions, old antique shops and warehouses to pick out even the smallest props for the sets! A lot of time, detail, effort and money have gone into making the sets as authentic as they possibly can be – and this has definitely paid off! 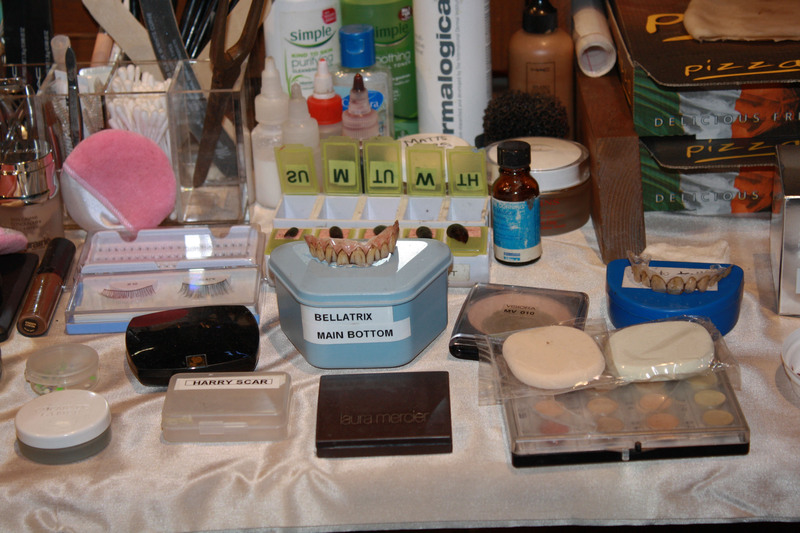 Another highlight (amoungst many) of the set room has to be the make-up and hair section, which I never really thought about until visiting the tour. 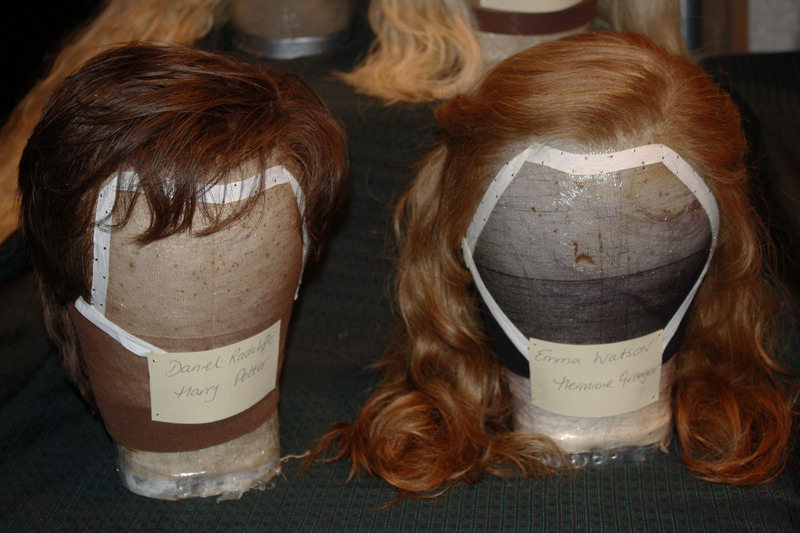 I originally assumed that they all had their own hair styled and dyed for the films, and didn’t even hold a thought towards the fact they ALL wore wigs. Yep, that’s right. Even Hermione. 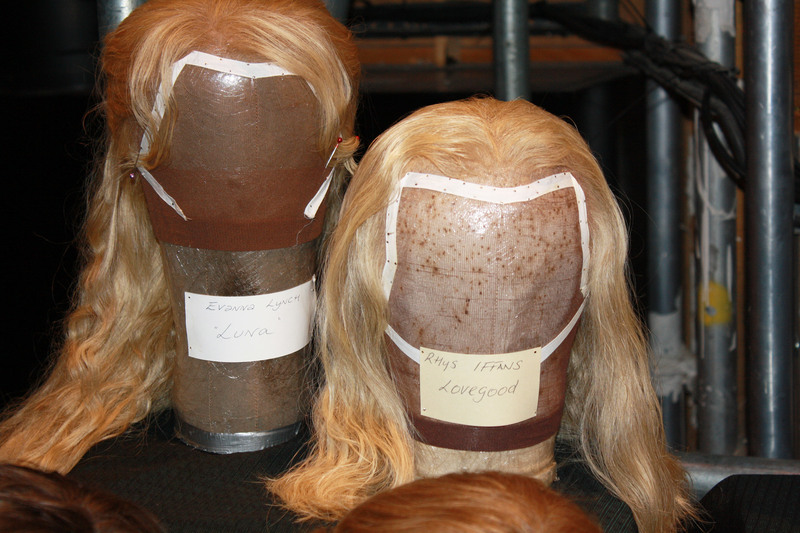 As scenes were filmed in specific orders (and not necessary in chronological order) and often took days to get right, the wigs had to be worn in order to ensure continuity was as perfect as possible. 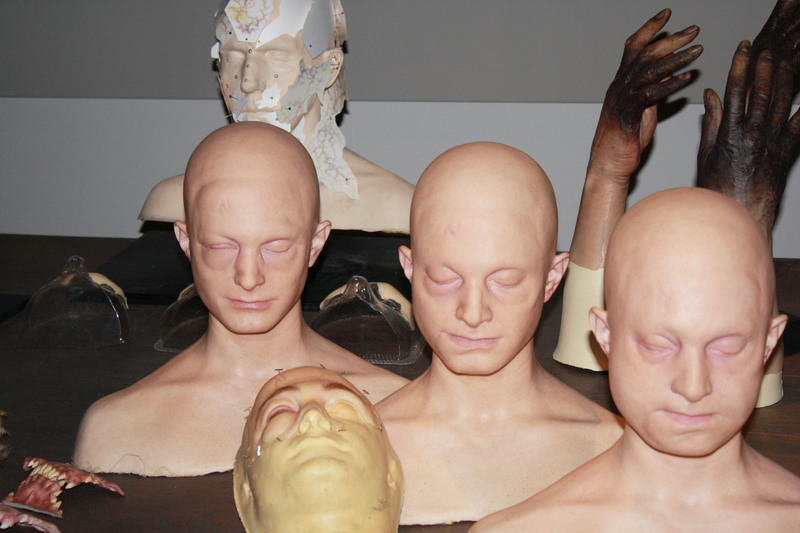 The wigs look SO realistic (in the films and in reality) that it’s difficult to envision that they actually wore them – however everyone from Harry to Ron to Luna wore a wig for filming, and all of them are on display in the hair/make-up section. 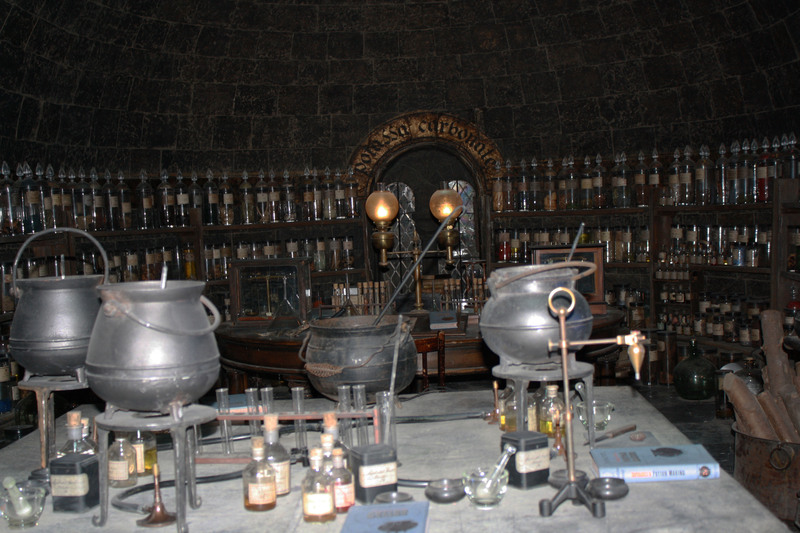 I won’t witter on about every possible section of the ‘set room’, because it would kind of defeat the point of going – although experiencing it for yourself, in the flesh is far different from reading about it – however, it is a really amazing and astounding room full of all of your favourite movie sets – even The Weasley’s Burrow – complete with magical scrubbing saucepan and magical knitting needles. 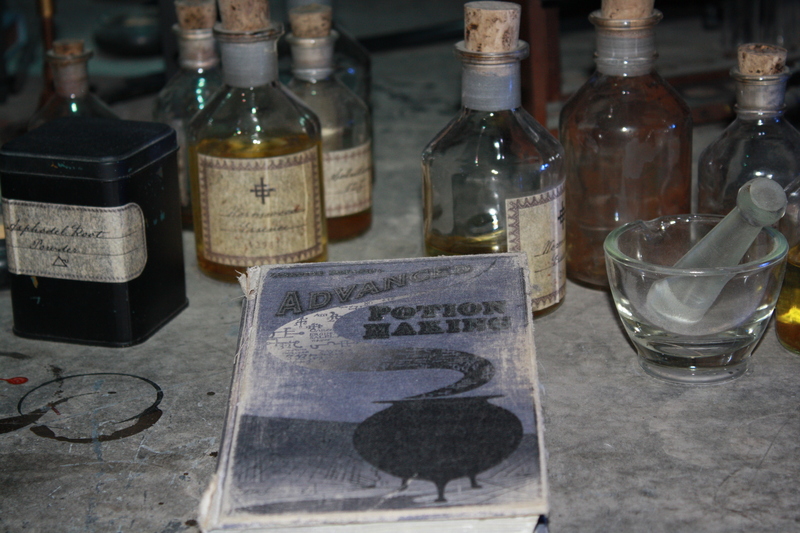 The room took us around an hour and a half to explore as there’s so much to see (as illustrated in the images I’ve attached) and is definitely a magical experience for any Potter fan! 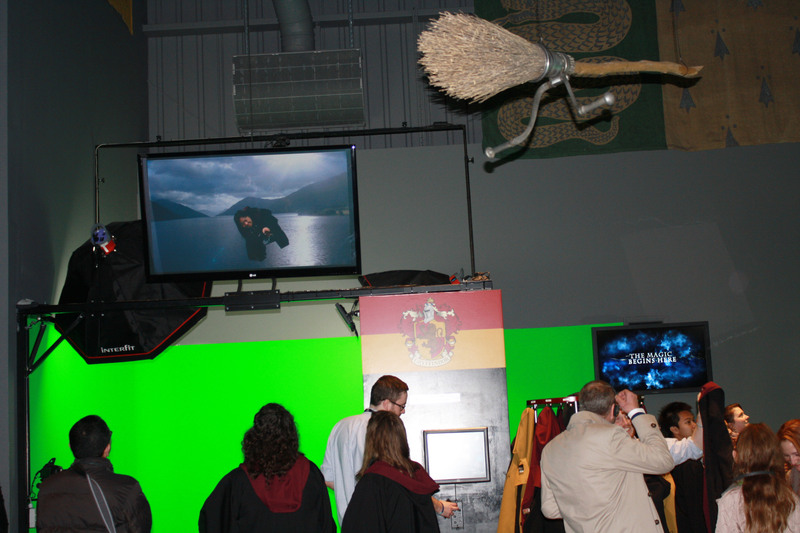 When you are nearing the exit of the set room, you come to the Qudditch area, where guests can try out the typical witch/wizard act of flying on a broomstick, for real. 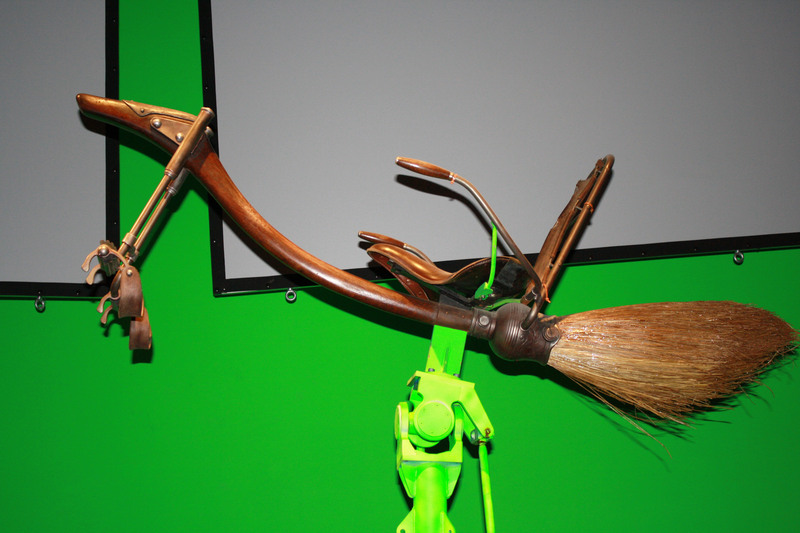 Perching yourself on a broom, in front of a ‘green screen’ background, the clever people at WB’s can automatically digitally edit the background (and you) to look like your flying over the castle, over the Thames and into London. 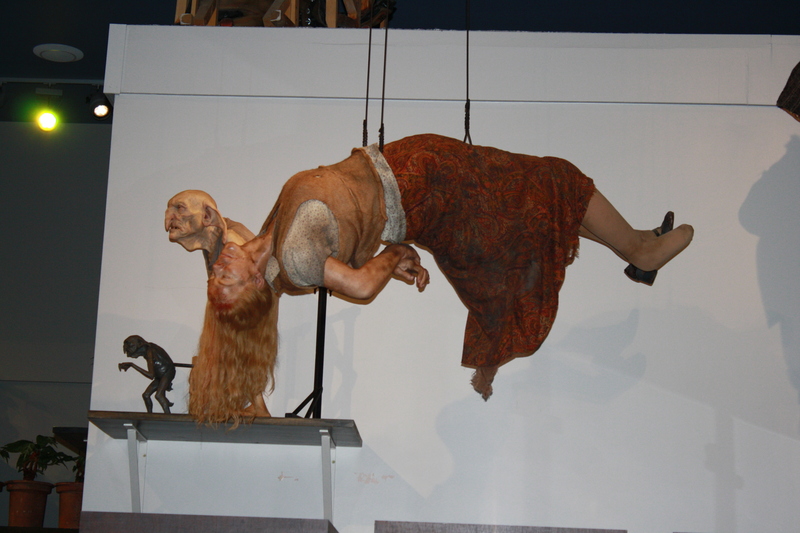 You can then purchase a DVD of yourself flying at the booth after you’ve finished. 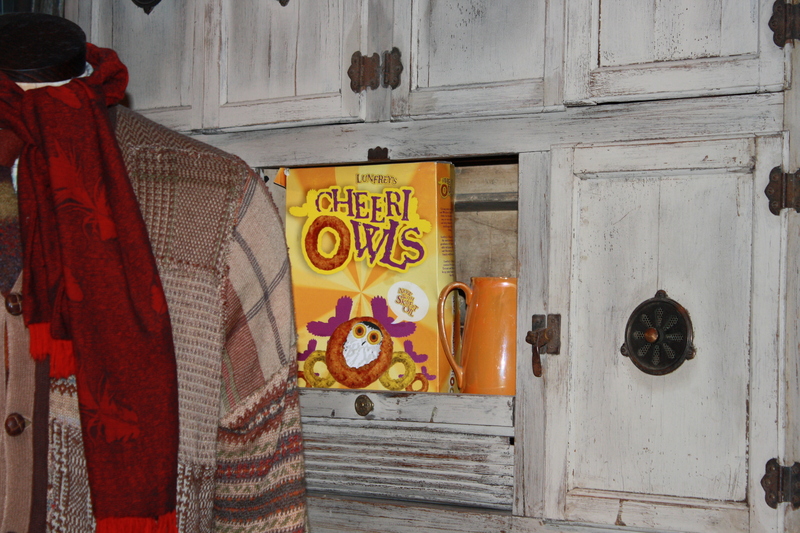 You even get to wear a Hogwarts robe! I didn’t really fancy giving this a go (as there was quite a large queue anyway), as I knew the prices for the DVD weren’t going to be cheap, however I will definitely try this out next time! You aren’t supposed to take pictures in this area, however I accidentally (promise!) snapped a few so that you could see what this is like. 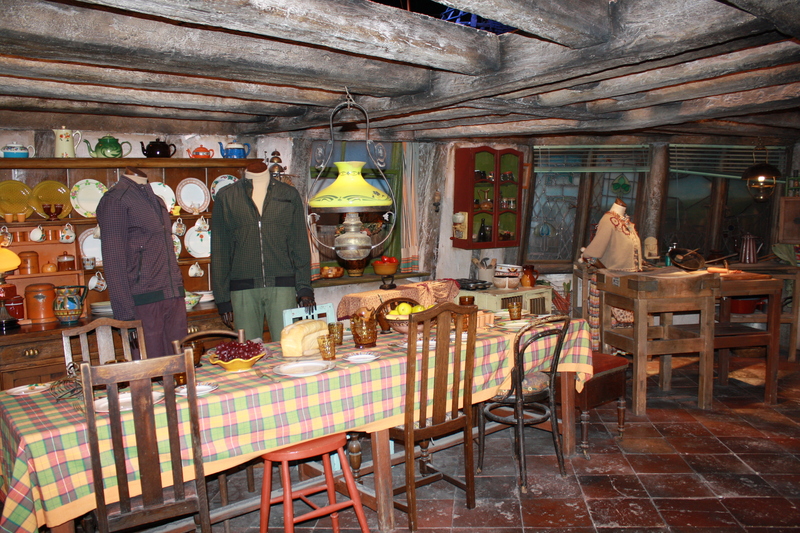 Out of the doors and into the cold weather, the large set room opens up into the ‘backlot’, where the larger outdoor sets are in full view – to be enjoyed. 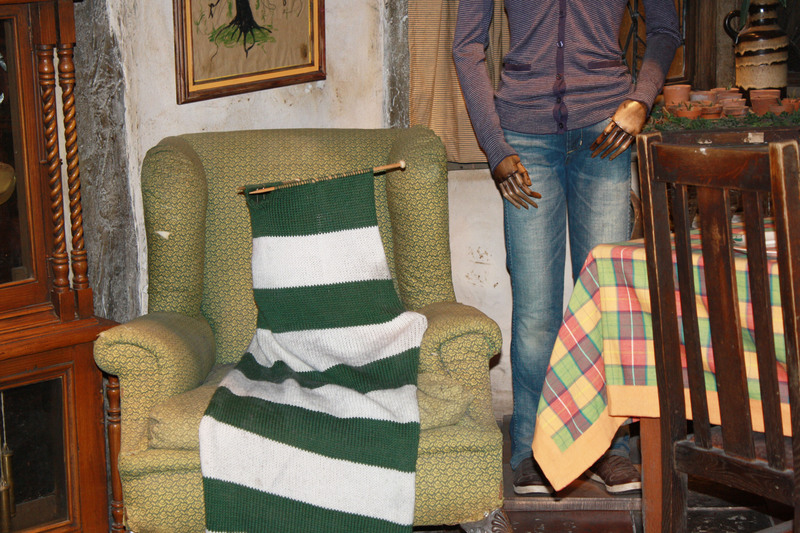 From Potters Cottage, to the Knightbus (oh, don’t forget No. 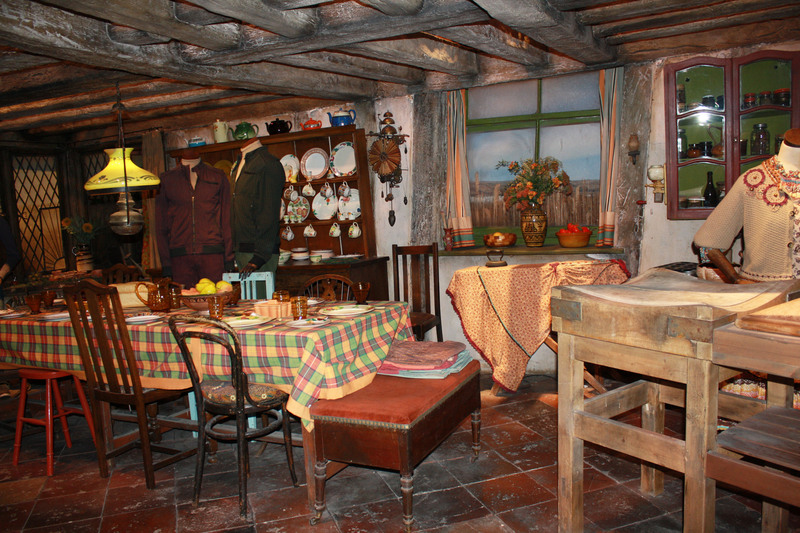 4 Privet Drive) this area really is very surreal – as everything is more lifelike and closer to the size you would imagine it to be – rather than the minute sets inside. 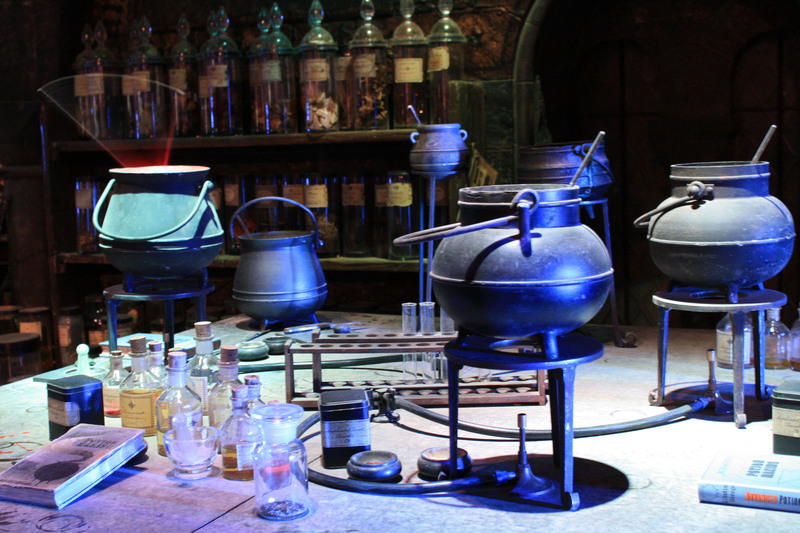 Outside, you can also enjoy some of the HP inspired refreshments on offer – including Butterbeer, which is most certainly a must-try (and clearly everyone agrees, as you can expect to queue for twenty minutes for a cup of the fizzy Butterscotch & Shortbread beverage). A small plastic cup of the tasty drink is priced at £2.95, whereas you can expect to pay up to £6.95 for a Butterbeer mug with a drink in. Although we opted for the small cup (which was perfectly adequate), I will admit that the $11 Butterbeer in Orlando, complete with mug (which is double the size) was much better value for money, and I didn’t think I’d say that – as the majority of things (including the wands) are much cheaper over here! 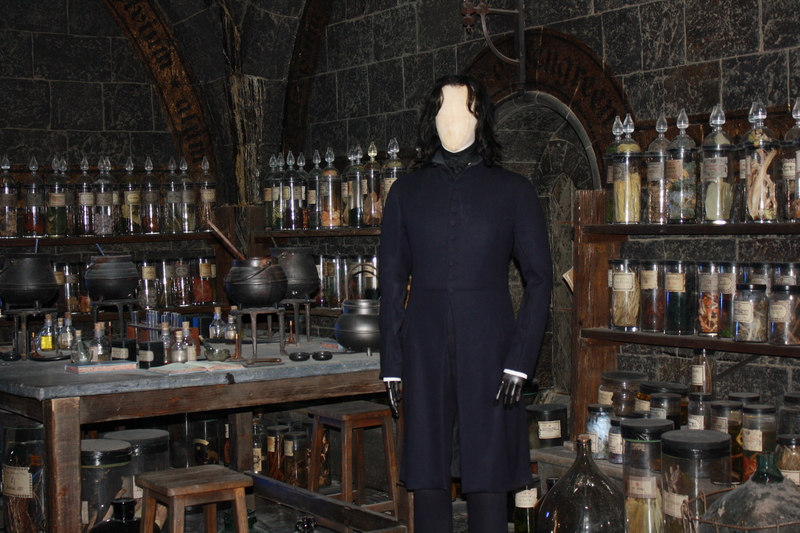 After a browse of the sets outdoors (and a quick journey over the Hogwarts bridge) you arrive in the props/mechanics/goblin heads etc department, which is really interesting – as a lot of the items move mechanically in front of you and you almost feel as though they’re really there, standing in front of you. 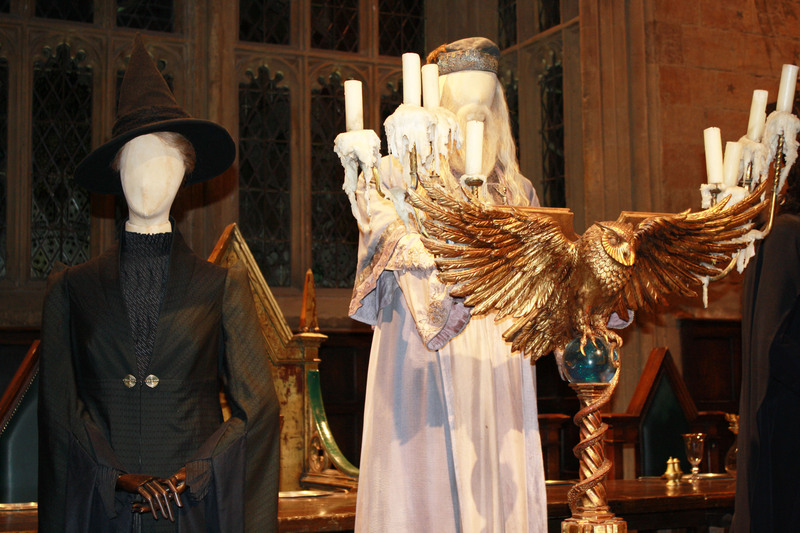 Yet again, the amount of detail, craftsmanship and design that has gone into ALL of the props, costumes and facial masks are unbelievable, and my pictures definitely don’t do them justice. 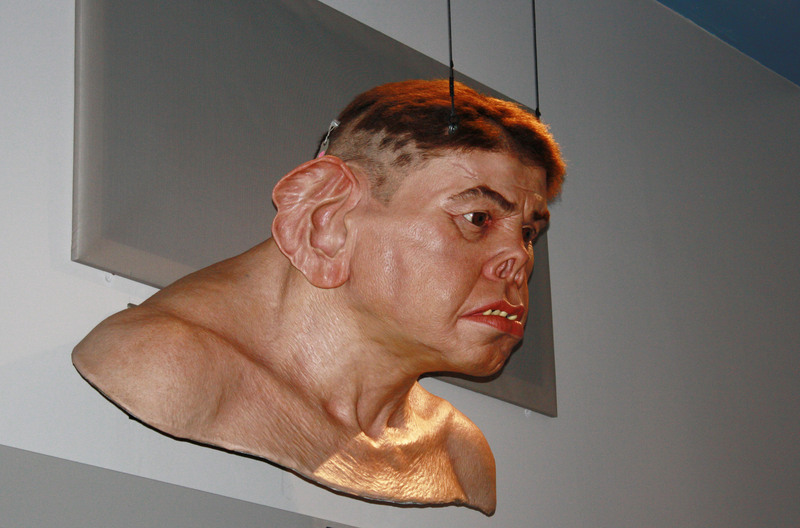 Hagrid’s mechanical face (which was made to reflect Robbie Coltrane’s movements/speech etc) was placed on top of 6’7 ex-rugby player Martin Bayfield, in addition to a full ‘half giant esque’ body suit, which was controlled off camera by a team of technicians for long shots or scenes when Hagrid would have to tower over the students/teachers. 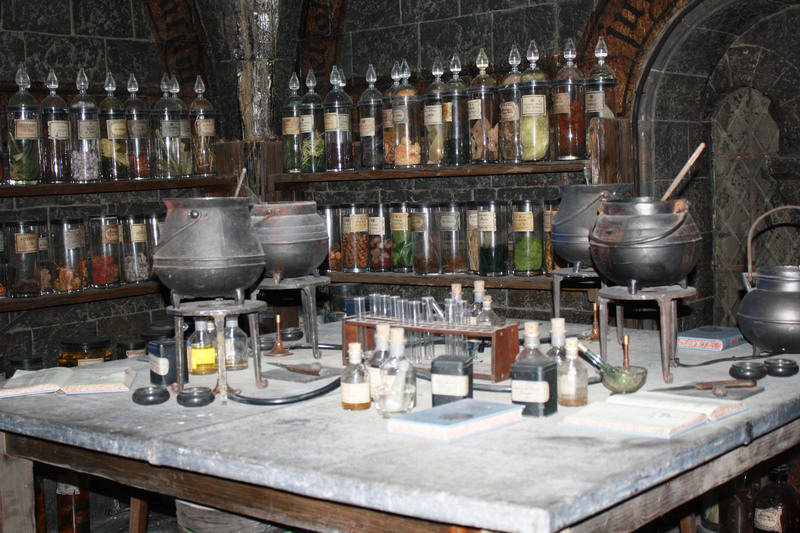 Close up scenes were filmed with Robbie Coltrane, and had to rely on camera angles alone to make him look as big as he was described in the books. 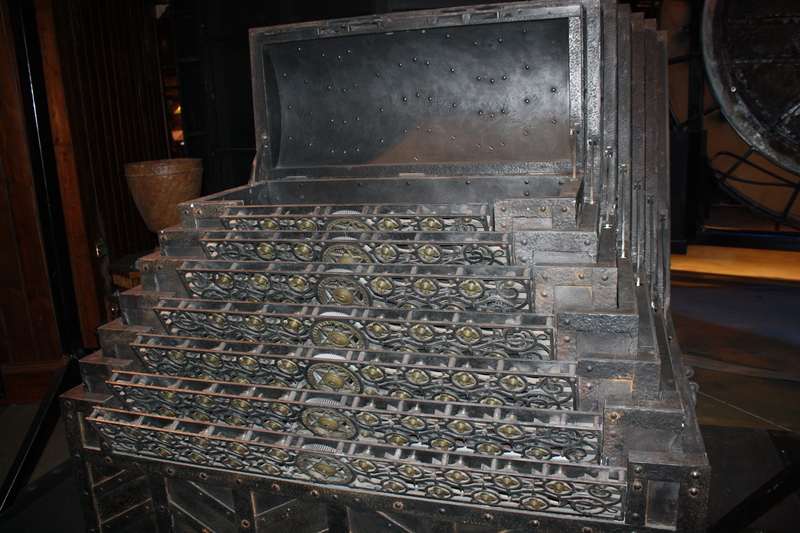 I won’t reveal too much about the props on offer, as they are AMAZING and deserve to be viewed in person, however I’m sure you will be given a few clues from my photos. 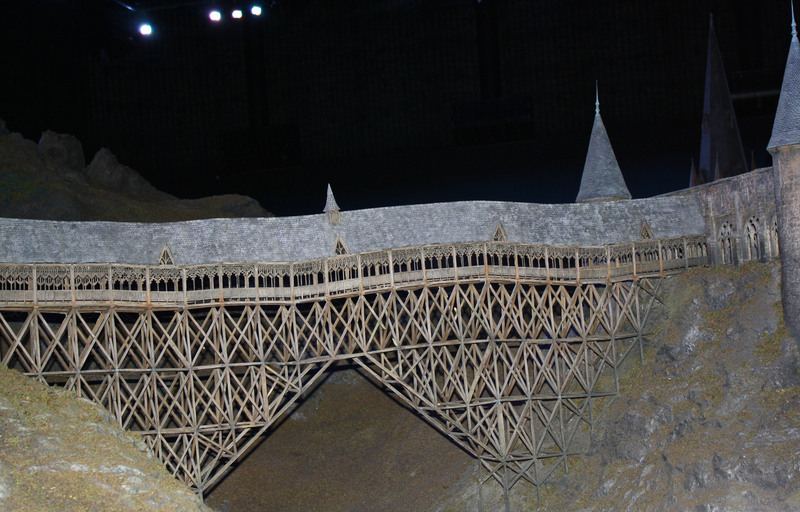 After leaving the props/costumes department, there’s only one thing left – the Hogwarts model, which is breathtaking (and I’m not over exaggerating). It really is breathtaking. 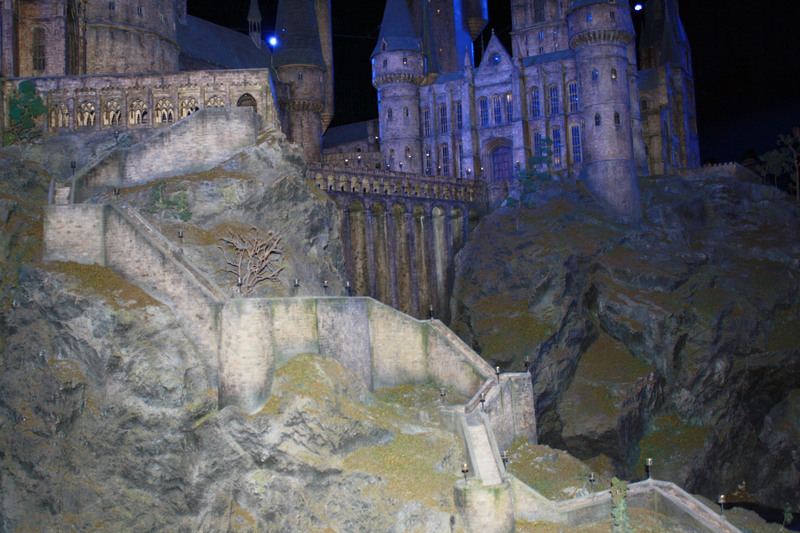 Used for the long shots, with students edited and green screened in, the model of the Castle, complete with fiber optic lights that flicker as though students are running through the corridors, is so realistic and so detailed that when taking a close up shot, there is no way you would be able to tell it’s a model. 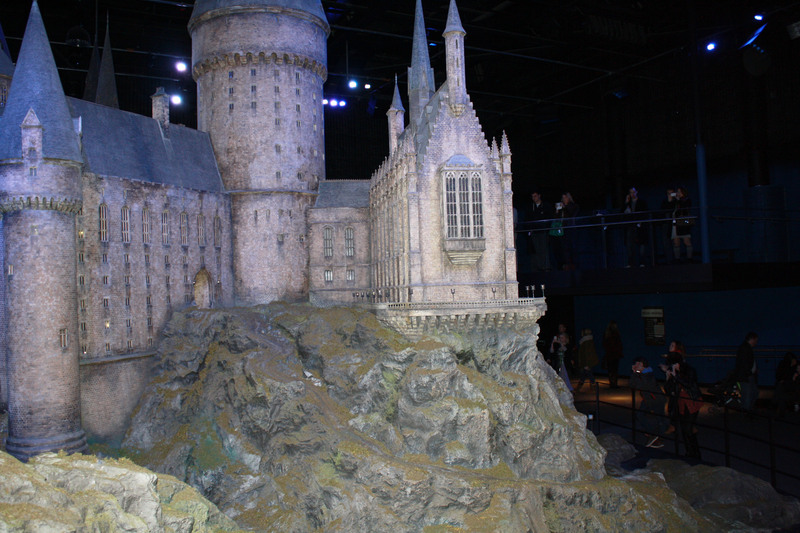 I must have taken over 100 pictures of the castle model alone, as I just couldn’t get over how fascinating it was – and the small touchscreen interactive sets placed around the model only highlighted how often it was used in the films (with sneak peeks of how they edited the students in). 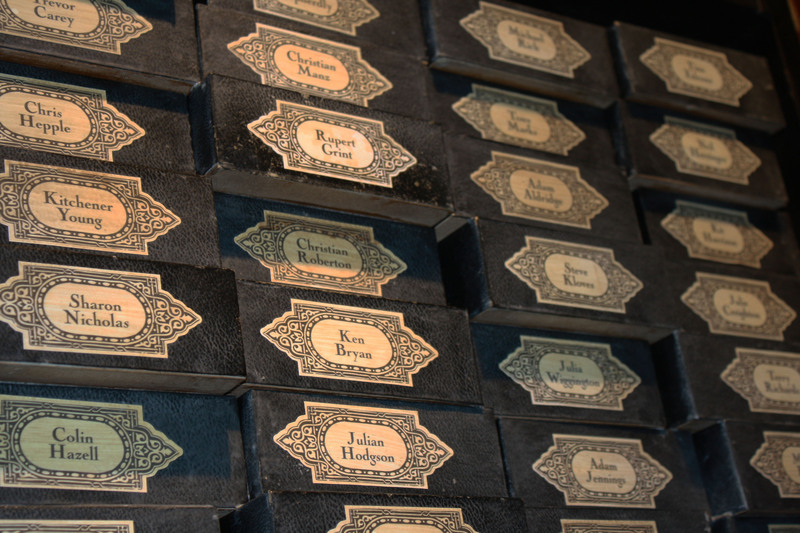 As the tour (sadly) comes to an end, you are greeted by the final ‘wand’ room, featuring hundreds, if not thousands of handpainted wand boxes, each displaying a name of a member of cast/crew, which I think is a really lovely touch. 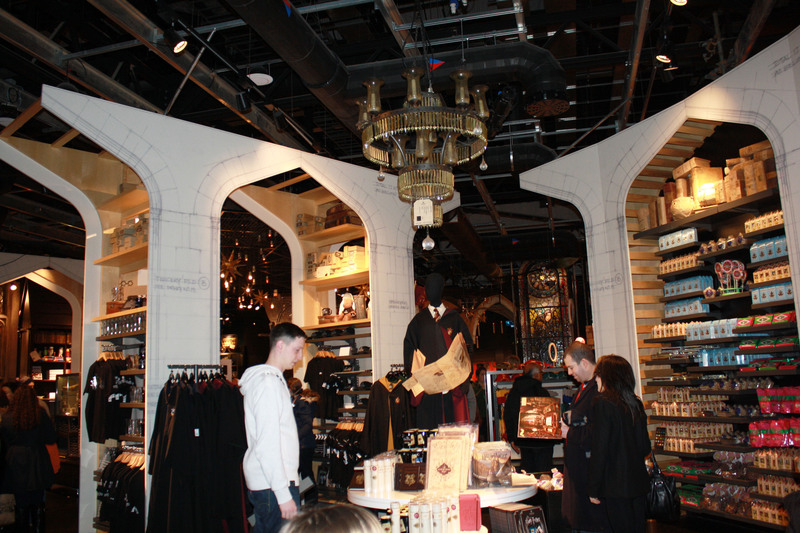 I spotted a few famous names amoungst the wand boxes, but was a little eager to get to the gift shop (and buy myself a wand of my very own which was really necessary, obviously), so I didn’t get that many images. 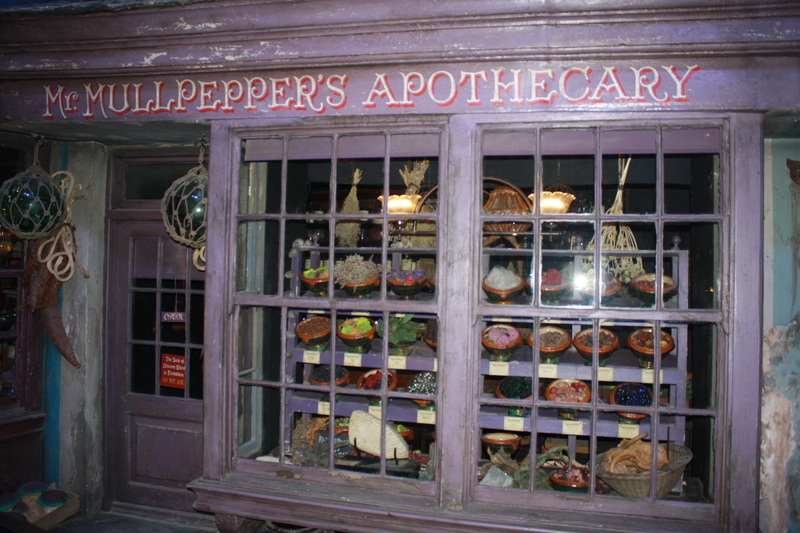 The gift shop, as I expected, was a little overpriced – however I treated myself to a wand, a chocolate frog (which isn’t hollow, it’s a filled chocolate frog – and very calorific ha ha) and some peppermint frogs, as well as the souvenir guidebooks. I think I spent around £50 on the food/drinks and gifts combined, including the £77 it cost me for tickets. But it was worth it. It was SO worth it. 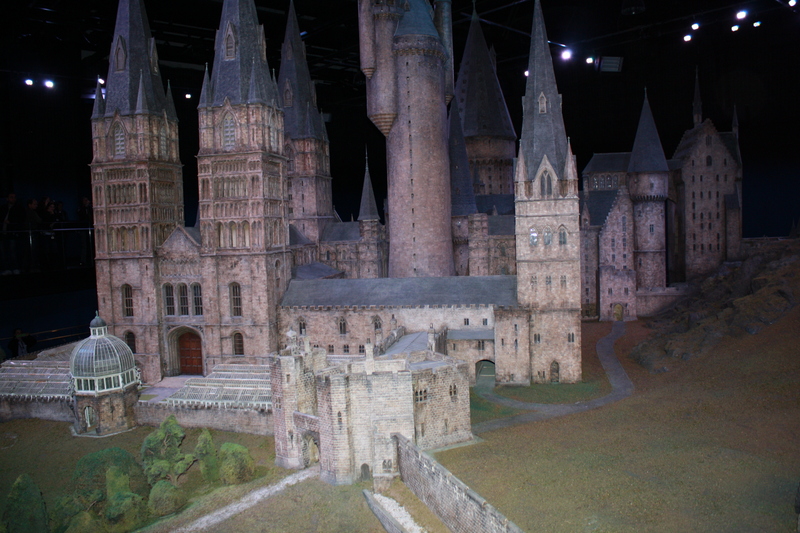 It is very surreal seeing the sets right in front of you, especially if you’ve grown up watching this magical world – but knowing it reality it never really existed, as it is now available to view before your very eyes. 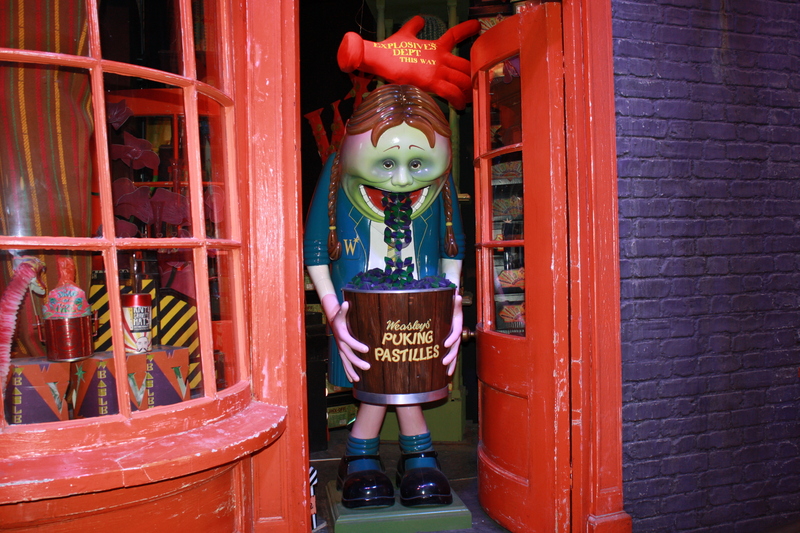 I think the attraction is enjoyable for people of all ages (as those under 10 can follow the ‘Snitch’ trail) whilst those who aren’t necessarily HUGE fans of the film can simply enjoy and appreciate the detail and architecture of the models, the sets and the props. I know I’ve written a rather detailed review of my visit, and on reflection – perhaps I should have waited a few weeks to write this so I’m not so gushy, however I had a fantastic time and have already planned to go back. Reading reviews before you go (of which I got a little carried away with, and read about forty) doesn’t spoil the visit in the slightest and only enhances it in my eyes, as you know what sets are on offer to see, and what you can look forward to. I can wholeheartedly recommend the tour, and despite the expensive price tag (especially if you’re a family of four) it is 100% worth every penny. 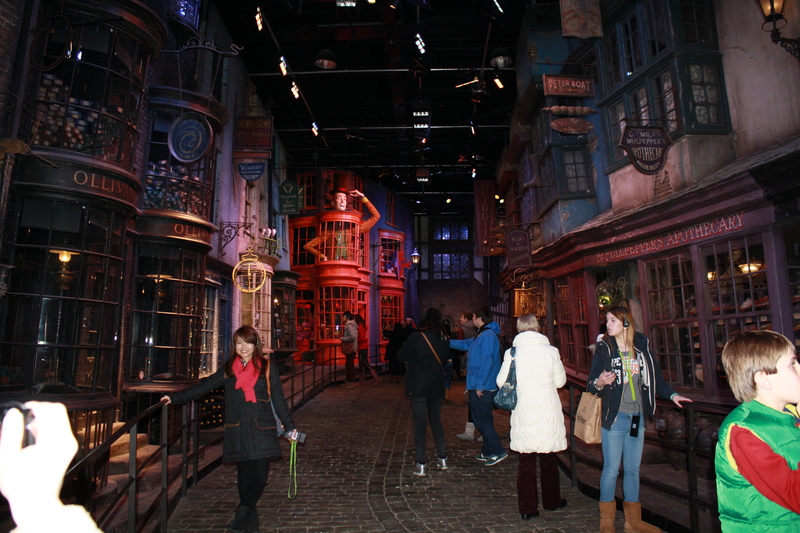 It’s better than Legoland, Thorpe Park and Orlando’s Wizarding World Of Harry Potter put together! If you do have any questions, or if you have visited yourself – I would love to know what you think! Please let me know on Twitter or by commenting below. Thank you for reading/surviving the post! Apologies for it being very picture/word heavy! Next Post Is it Possible to Forgive a Cheat?